It’s expected that all nine species of the region’s native Ash trees will inevitably be lost as a result of the Emerald Ash Borer. Considering that Ash trees make up over 10% of the trees in our region (up to 40% in some areas), the loss will have a devastating impact amounting to millions of trees. Still other threats are on the horizon. Over 10% of the region’s trees (up to 40% in some areas) will be lost to the emerald ash borer (EAB) in the next 5-10 years. The loss of ash will degrade local streams, stream corridors, and stream wildlife and dramatically change local landscapes. The emerald ash borer (EAB), a vascular attacking insect on all species of ash trees, has already begun decimating the local, regional, and national ash tree populations. 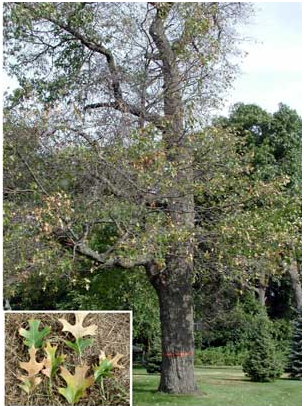 Thirteen tree genera (over 100 Eastern North American species) – including maple – are vulnerable to the Asian longhorned beetle (ALB). 1,462,527 trees have been surveyed and 15,893 of them have been confirmed as infested with ALB. 14,722 infested trees, and 48,462 high risk host trees have been removed as of 2/28/15 in Clermont County. $15 million in federal funds has been allocated to prevent the beetle’s spread. Although expected to be contained, if the ALB were to spread throughout the region, up to 60% (including EAB loss) of the region’s trees could be lost in the next 20/30 years. 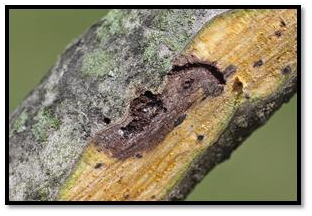 The Walnut Twig Beetle is the insect carrier of thousand cankers disease (TCD), a fungus fatal to black walnut trees. 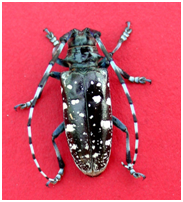 This beetle was recently identified in Butler County. A fungus that’s often fatal to oak trees and is currently spreading through Ohio. Deer population has a profound impact on our forests’ ability to regenerate. Deer consume tree seedlings; many local wooded areas are devoid of saplings and are not regenerating. 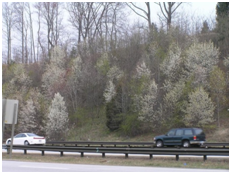 Establishes on woodland edges throughout the region and has expanded into forest interiors – contributes to the decline of native trees and wildlife and does a poor job of stabilizing soils and reducing runoff. Have become invasive throughout the region and are filling the voids created by tree loss from invasive insects, preventing native species from regenerating and impeding natural succession. 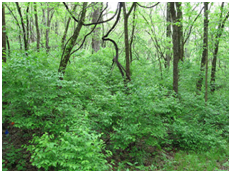 The loss of native trees reduces the ability of wooded areas to regenerate and provide habitat for native wildlife. The loss of large trees reduces the ability of wooded areas to provide the benefits of healthy forests.